Break Into A Home, Violate the Computer Fraud and Abuse Act? How’s that for a crazy sounding question? 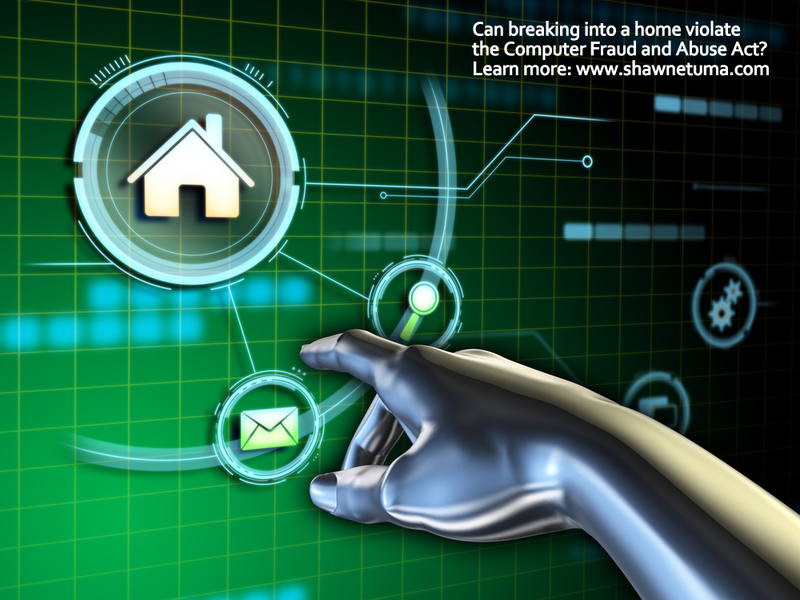 Could breaking into a home violate the Computer Fraud and Abuse Act? The CFAA applies to anything with a microchip or data processor that is connected to the internet. See Can Stealing a Car Violate the Computer Fraud and Abuse Act? If a home were to have a microchip or data processor integrated into it, and if such device were connected to the Internet, then that home would be a covered “computer” and the CFAA would apply if were broken into. Now, that only covers the first part of a CFAA violation and there would be other questions remaining as to whether the intrusion amounted to a full violation of the Computer Fraud and Abuse Act but, theoretically, I’d say it would be a pretty good argument! How about you, what do you think? Also, what do you think about my other two crazy ideas — would hacking a “human” violate the CFAA and would stealing a “car” violate the CFAA?